Looking to change things up? 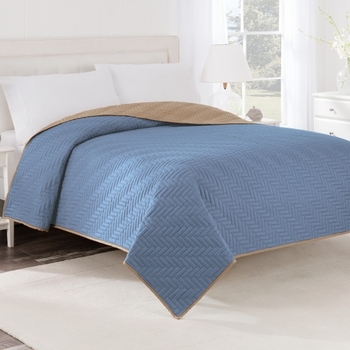 Switching your bedding is a cinch with this reversible coverlet. 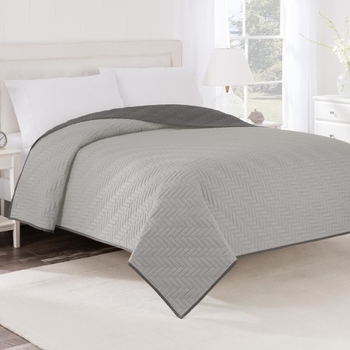 Crafted of polyester with polyester fill, this coverlet features an intricate woven quilt stitch detailing, square corner trim, and a reverse color binding. 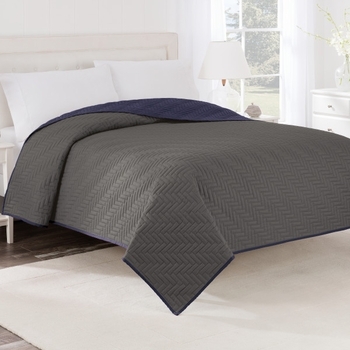 Boasting choices of khaki/red, ceil blue/khaki, or graphite/navy, it�s the perfect addition to your bedroom scene. 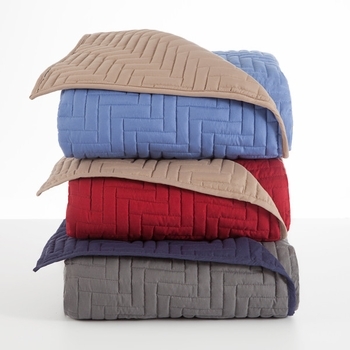 Available in twin, full/queen, and king sizes.